Beer tourism in Britain – read more. Take your pick of beer tourism in Britain - there is a plethora of beer tasting pub tours, brewery tours, beer weeks, beer festivals, ale trails, rail ale, museums with beer artefacts, and countless ancient pubs and taverns to explore. Jane Peyton’s private tour of Historic London Pubs & Beer Tasting has won numerous awards, including Top Global experience from Trip Adviser’s Viator agency. 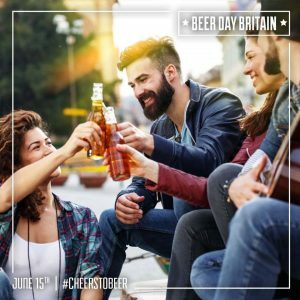 UK Brewery Tours offer craft brewery tours and other beer related activities for individual and group bookings in Britain’s major cities. Heritage breweries such as Fuller’s in London, Shepherd Neame in Faversham, Greene King in Bury St Edmunds, Harvey’s in Lewes run popular brewery tours. Many others around the country do too. National Brewery Centre. During the 19th century the small market of Burton-upon-Trent in the Midlands was the brewing capital of the world with over thirty breweries, and was home to Bass Pale Ale the globe’s most famous beer brand. It was all thanks to the local water which was perfect for brewing ale. Burton also had excellent transport links. The glory days are gone but the brewing heritage of the town is celebrated at the museum. London’s British Museum has few peers in the diversity of its collections. Beer lovers have a choice of ancient artefacts to discover including a Mesopotamian clay tablet from 3100-3000 BCE displaying some of humanity’s earliest writing. It described daily beer rations for workers. Take a look at Édouard Manet’s Impressionist painting ‘A Bar At The Folies Bergère’ and spot the bottles of Bass Pale Ale with the unmistakable orange triangles on the labels. This painting can be seen in real life at London’s Courthauld Institute of Art. Local branches of the Campaign for Real Ale organise regular ale trails. Contact the organisation to join. The Real Ale Trail company runs a chauffeured bus service between rural pubs in North Wales and NW England giving customers a chance to explore some hidden gems for a whole day. Sheffield and the Peak District – see the website for more information. In Cornwall and Devon Great Scenic Railways have devised a number of self-guided trails. Around 15 British cities now host Beer Weeks to celebrate the best of local brewing. Most of them are in popular tourism destinations such as Brighton (Brighton & Hove Beer Week) so there are plenty of things to do and see in addition to beer and pubs! The Beer Cities website lists them all. Britain’s largest beer festival is the Great British Beer Festival annually in August at London’s Olympia Exhibition Centre. Run by the Campaign for Real Ale (CAMRA) it crowns the Supreme Champion Beer of Britain. Edinburgh hosts CAMRA’s Scottish Real Ale Festival in July. The Great Welsh Beer & Cider Festival (CAMRA) takes place each September in Cardiff. For Northern Ireland CAMRA produces the annual Belfast Beer & Cider Festival in November. Craft Beer Rising each year in February at London’s Old Truman Brewery.